Hi, my HP J4580 printer just stopped working after I plugged it in and used it for a few minutes, how can I get a new charger? Thanks. What is the price of the HP J4580 printer and its cartridges? Thanks. We specialise in supplying printer cartridges and consumable items for printers. We do not actually sell the printers themselves. All of our current prices can be seen next to each item on the right-hand side of the web page. We quote our prices inclusive and exclusive of VAT so as not to be misleading. 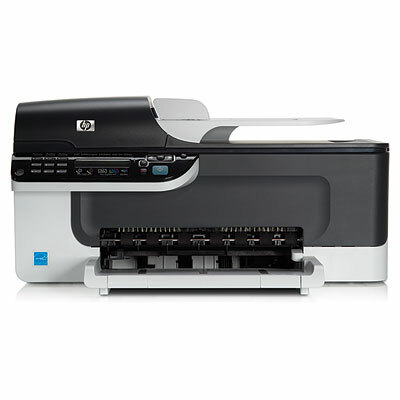 HP J4580 printers are renowned for their clarity and reliability. Some day in the future your HP J4580 will use all of your printer ink, and when that happens you'll discover that brand new HP J4580 ink is normally really expensive. However, you have no reason to stress about dishing out the steep prices you'll uncover on the main street because here at Cartridge Save you can get all the HP J 4580 cartridges you will ever need at seriously low prices. Start saving money on your ink by ordering online with Cartridge Save! It makes little sense to pay so much more for the J-4580 original cartridge or J4580 compatible ink on the high street when it is easy to save cash buying online with Cartridge Save. Get total peace of mind by ordering OfficeJet J4580 ink cartridges from us because everything is underwritten by a no quibbles money back guarantee. Be mindful of the fact that every single order also has free delivery, most likely delivered to your door on the following working day! Aimed at the small or personal office, the HP Officejet J4580 is designed to be a user-friendly and efficient multifunction printer with a copier, scanner, and a fax machine. It claims to be versatile and speedy, but its actual performance as reported by users is less than stellar. Compatibility issues with Mac systems and newer Windows operating systems make the HP Officejet J4580 quite outdated. In terms of speed, features, and capabilities, the HP Officejet J4580 resembles the other multifunction printers from the same series of HP Officejet devices, but there are some improvements such as the automatic document feeder. The 1-line display screen is small, but the printer makes up for that by slightly angling the control panel for easy viewing. The HP Officejet J4580 still has 16MB of built-in memory, which may limit the speed and number of jobs you can include in the queue. The HP Officejet J4580 is very good in printing documents. Users often praise it for crisp quality text and the scanner's ability to convert scanned documents into editable text (because of the integrated OCR software). Fax transmission is speedy because of the 33.6 Kbps modem. This intelligent device also comes with Error Correction Mode on the CCITT/ITU Group 3 Fax feature. For something aimed at the small office, the HP Officejet J4580 lacks essential features like a stacker and a collator. Templates for binding and stapling are also absent. It cannot work as a standalone device and is very reliant on a PC. The warranty is very limited; when it expires, getting support becomes difficult. Users running an Apple Mac operating system may experience installation problems. The HP Officejet J4580 cannot use colour management profiles, so you may not be able to get true-to-life quality output.